Secure the benefits of real-time postal address validation across all business-critical systems, databases and applications or desktop systems. Available as REST or SOAP services, as well as on-premise solutions. 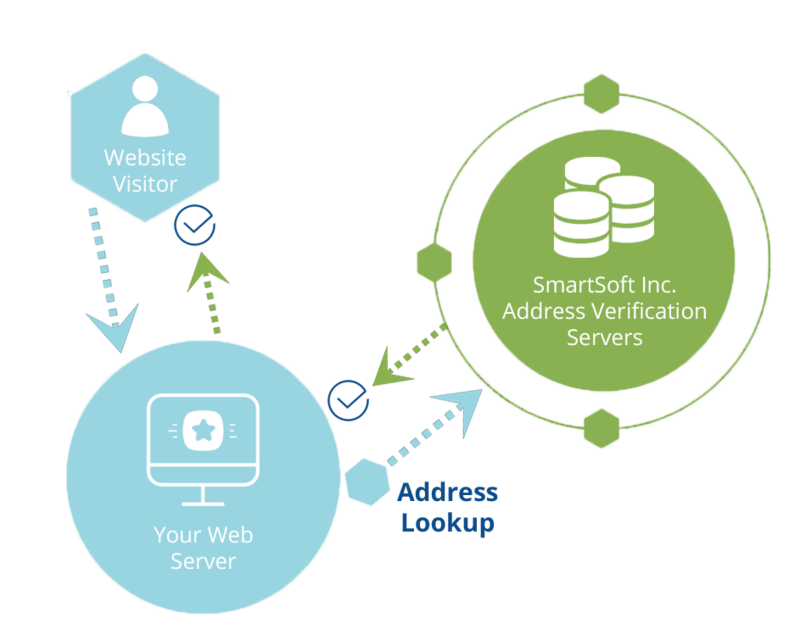 SmartSoftDQ’s AccuMail address verification APIs deploy rapidly and prevent inaccurate or incomplete data from entering any system. Ensure each address is parsed, analyzed, verified and standardized. Your addresses will be formatted with USPS® certified data, standardized with ZIP+4® Codes, and enhanced with additional data, such as Carrier Routes, DPV and much more. It costs much less to correct addresses than trying to fix issues that arise throughout your organization once those bad addresses enter your system. Verifying addresses prior to accepting orders through your website can help fight against fraudulent purchases. Enjoy higher delivery rates and less returned mail. You may even qualify for significant postal discounts when you validate your addresses prior to sending. Lost or late deliveries due to inaccurate address data damage your reputation and hurt your business. Online address validation on customer-facing sites leaves a positive impression with your customers, who can see that you care about getting things right. Qualify for postal discounts, cut down on wasted time and money caused by undeliverable packages and save on expensive Address Correction Penalties charged by shipping carriers. Integrate real-time, point of entry address validation into your existing systems using our .NET, REST or COM APIs. Simple Integration – Our address verification APIs are easily implemented, providing address validation for most existing systems. Self-hosted Data – You host and manage all the postal reference data on your server. Ideal for instances where security protocols prevent Web verification. Unlimited Lookups – No restrictions on the number of address lookup transactions. Super-fast – Address validation transactions take milliseconds to provide complete and accurate address information for your systems. Enhanced Data – The AccuMail engine returns over 40 additional data points, including Carrier Route information, Line of Travel, County Codes and more. For more detailed information on the On-Premise API, please refer to our Developer Resources section. Available in both REST and SOAP interfaces, the AccuMail Verify address verification API deploys rapidly and prevents inaccurate or incomplete data from entering your systems. Our APIs allow for address validation into most existing systems and customize your outputs for seamless experience. SmartSoft hosts all the postal data on our servers, so there are no monthly updates to install and no servers to maintain. Your unique user portal lets you check your usage in real time. High Performance Speedy service can return your corrected address in milliseconds! 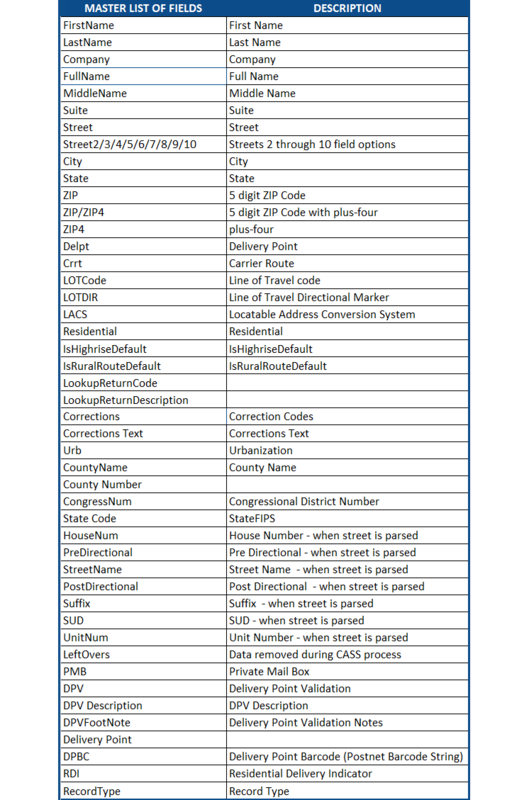 The Address Verification cloud service returns over 40 data points, including lat/long coordinates and RDI information! For more information on our Cloud services, please visit our Developer Resources section. 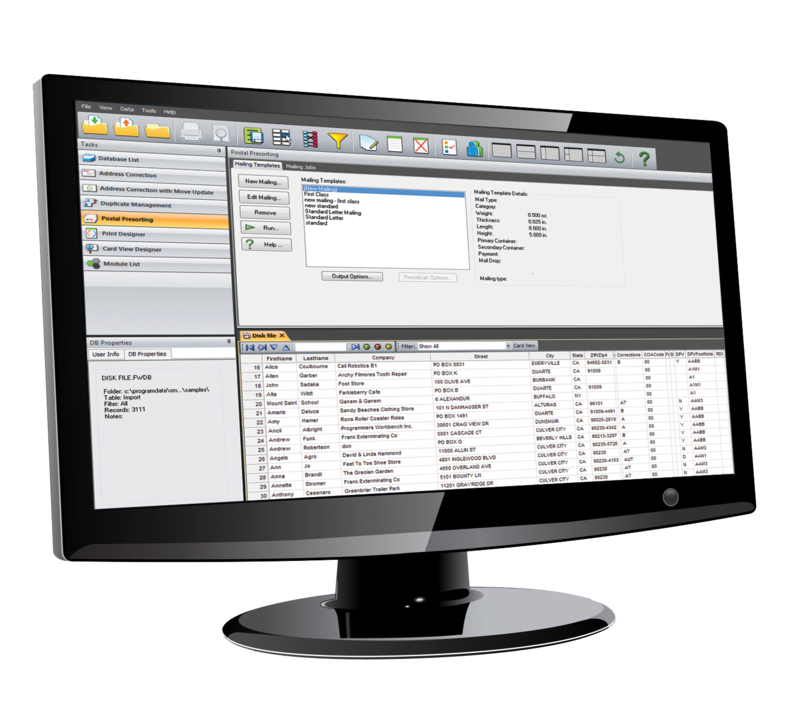 AccuMail provides you with a single address lookup software solution in an all-in-one desktop application. An intuitive UI makes it easy to validate and correct postal addresses in real time. With our desktop address verification software there are no restrictions on the number of address lookups you can run. You will also be able to correct entire databases through the desktop application. AccuMail frameworks’ modular structure makes it easy to add additional functionality and tools to your address verification solution. See our Enhancements tab for examples. We offer a selection of tools to enhance the value of your data. Assign additional geographic data (lat/long coordinates to 6 decimal places with additional data points) to the contacts in your database. 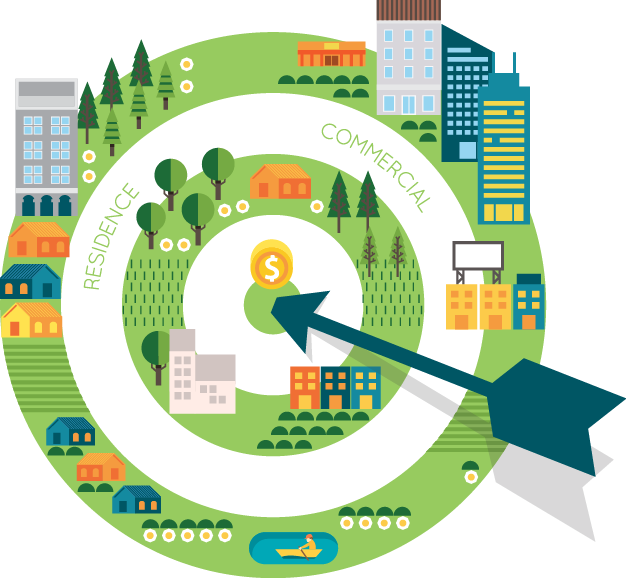 Identify which addresses are residential and which are business addresses. Keep your database current as customers move, using the very latest data from the USPS. Validate and standardize your entire address database with our USPS Certified address correction software. Validate the deliverability of your customers’ email addresses. We are continually expanding our data enhancement offerings, please contact us if you are looking for a custom solution or something that is not listed. AccuMail solutions provide accurate address validation to all verticals and industries. Every organization with contact data can benefit from and can rely on our address validation software, with easy integration into all their systems including billing, shipping, CRM and webforms. Returned deliveries mean additional handling time, repackaging and postage costs. Correct information ensures customer confidence and deters late or non-deliveries. Wasted materials, labor, time, postage, & lost sales opportunities are a result of bad contact data. Confidential and time sensitive information and payments need to be delivered to the right place. Think about how you gather customer information and store it. This white paper walks through what you need to consider to confidently manage your customer database with Total Address Quality. Many companies have databases that are antiquated with outdated or incorrect information. Do you know what that is costing? Is your company experiencing address data decay?